Home / Blog / Wild Blueberries! The wild blueberries are out! 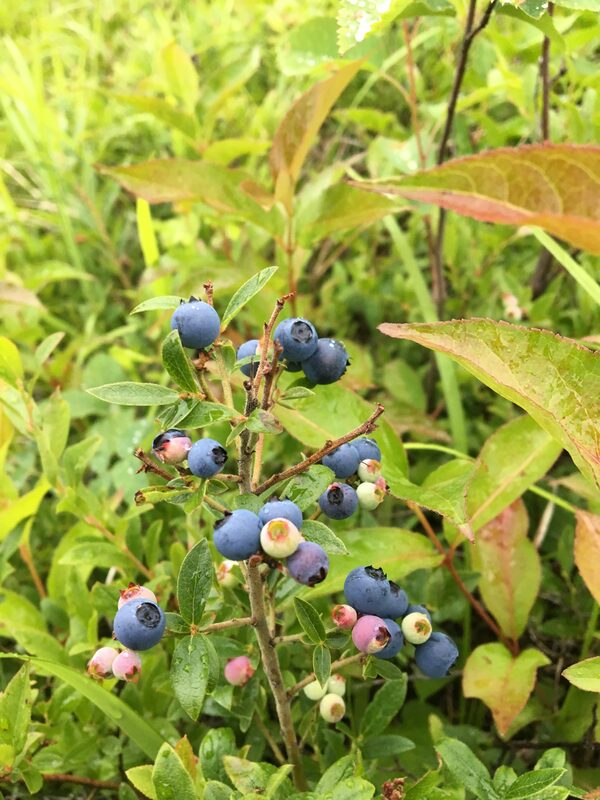 Wild blueberries have started to grow near Sawbill Lake and around areas off the Sawbill trail. 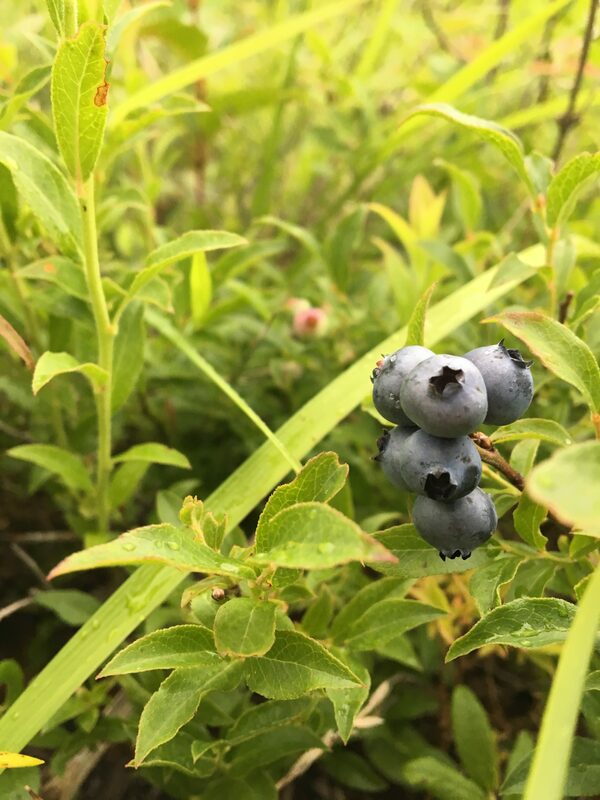 Wild blueberry season in Minnesota starts early to mid July, meaning that the next two weeks are prime time to go blueberry hunting. If you are searching for blueberries near Sawbill, search in meadows near pine trees. These areas contain ideal soil for wild blueberries to grow. 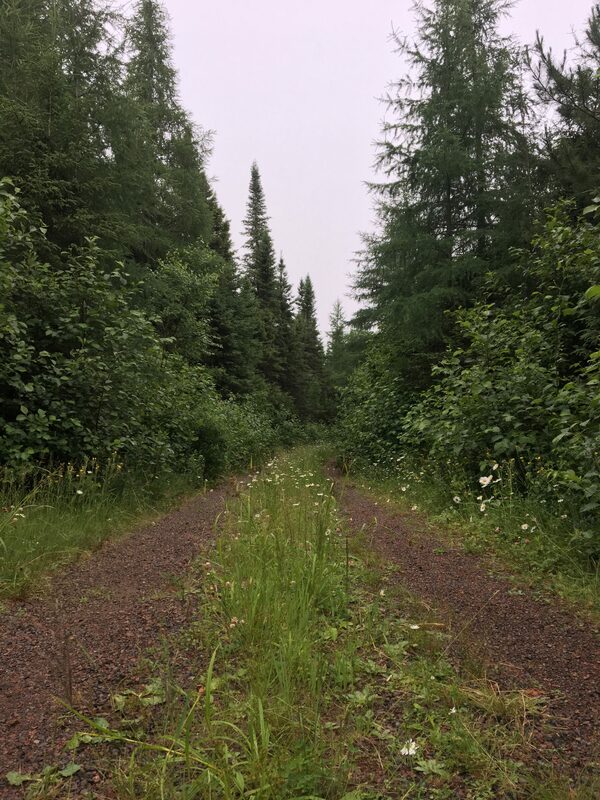 Wild blueberry hunting is a great opportunity for exploration of the wilderness. You never know what kind of wild life you might see along the way! Paths such as this can be good areas to search for wild blueberries. It is not uncommon to find an abundance of blueberries around these woods. We have had reports of customers collecting up to thirty six pounds of blueberries! While it may be tempting to utilize and harvest largest quantities, make sure to only harvest amounts that will be consumed. This ensures proper health for the blueberry plants and opportunity for other people to discover.